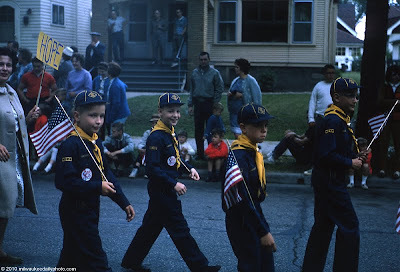 I'm working on a project scanning some slides today, and when I saw this one, I decided I had to share. 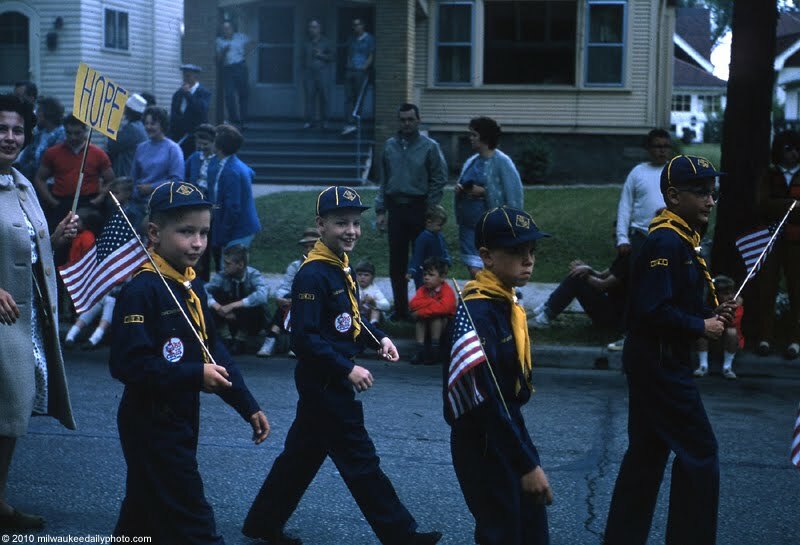 This group of Cub Scouts is marching in the 1965 West Allis 4th of July parade. There's just so much to look at here - it really is a time capsule, opened for the first time in a long time. The sign the woman is holding caught my attention - 45 years later, we still have the same thoughts. I guess hope does spring eternal.